Articulação SUL’s mission is to promote and support South-South cooperation initiatives aimed at building more just, equitable and sustainable societies; and to contribute to an international system committed to socio-cultural diversity and the emergence of alternative development paradigms. We hope to inspire emancipatory policies and practices, through research, public debate and engagement with different actors. The Centre of Excellence against Hunger, a partnership between the World Food Programme (WFP/UN) and the Brazilian government. It completed, in 2016, five years since its establishment. Over the past years, the Centre has been supporting countries to strengthen their capacities to develop and enhance national initiatives in areas such as social protection, home-grown school feeding, and food and nutrition security, aiming at encouraging innovative, sustainable, and nationally-owned solutions to overcome hunger. To explore and communicate the lessons learned and the results achieved so far, this external evaluation assessed the degree of achievement of Centre of Excellence’s objectives, the efficiency of its strategies, the quality of its methodologies. It also identified recommendations that can inform future interventions. Since this is Centre’s first evaluation, we have chosen a methodological strategy to give an overall picture of the Centre’s contribution during its five years of existence. 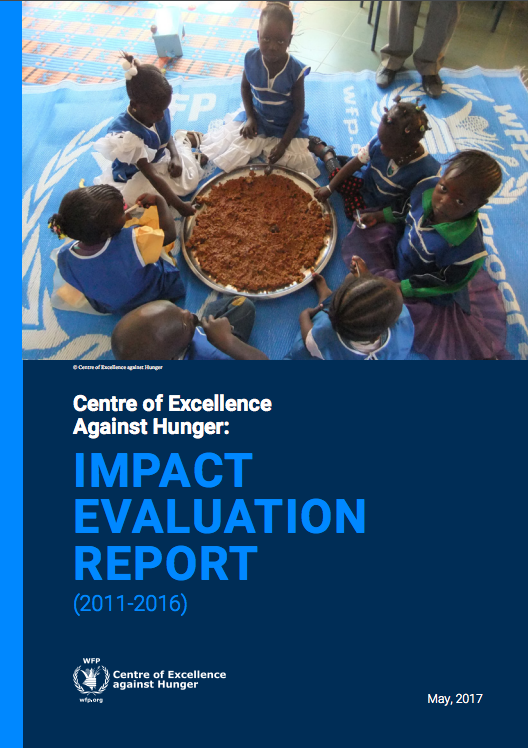 Guiding our analysis there is a comprehensive Evaluation Matrix, based on the Centre's Theory of Change, and which encompasses the full range of Centre’s strategies and methodologies, providing the basis for the thorough analysis developed in this report. To enhance data availability for future evaluative endeavours, particular Monitoring & Evaluation recommendations are drawn in the conclusions. In the context of the 2030 Agenda this evaluation also aimed to provide evidence-based information on the contribution of South-South and Triangular cooperation, as well as capacity development interventions, to attaining the Sustainable Development Goals (SDGs). The impact evaluation covers the period from 2011 to 2016 and was carried out in partnership with MOVE Social. Parallel to the evaluation process, we have supported the Centre of Excellence in strengthening its M&E system. In that sense, we have designed a Monitoring, Evaluation and Learning system to be implemented by the Centre in the years to come. This document is based on the “Dialogues on Brazilian South-South Cooperation” held in Rio de Janeiro, in January 2017. The publication reflects debates among government, academics and civil society from different developing countries. The authors present ideas about specific issues on South-South cooperation (SSC), in order to subsidize the construction of evaluation and monitoring systems that take into account SSC practices and contexts. South-South technical cooperation evaluation that helps to generating relevant evidence on capacity development and knowledge sharing can make a decisive contribution to distinguish it from other experiences in the field of international development cooperation. In addition, building more accurate and adherent indicators to South-South practices should contribute to a more favorable environment for capacity building and knowledge exchange. BRICS Policy Center; Articulação Sul. Paths for Developing South-South Cooperation Monitoring and Evaluation Systems. Brasília: Ministry of Foreign Affairs, 1ª ed., 2017. 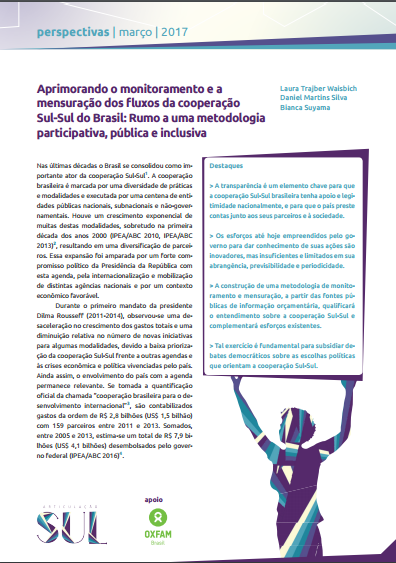 This new edition of 'Briefing' discusses South-South cooperation (SSC) monitoring and evaluation, considering the Brazilian experience. Nowadays, there is a growing demand for the creation of monitoring and evaluation (M&E) systems that facilitate learning, support the improvement of initiatives and contribute to domestic and peer accountability. 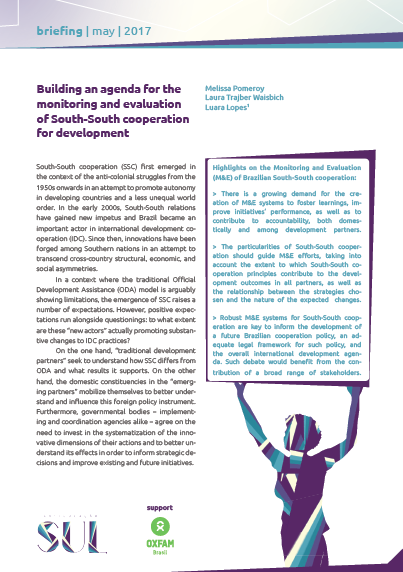 The paper points to the importance of M&E practices that recognize and absorb, conceptually and practically, the singularities of South-South cooperation, such as its principles and approaches. In addition, robust M&E practices have the potential to inform the international development agenda, and in the Brazilian case, the building of a future technical cooperation policy. Finally, the text points out recommendations to strengthen the M&E of SSC. 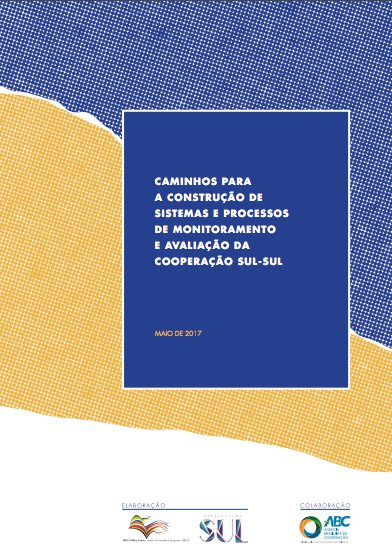 Information transparency is a key element for Brazil’s South-South cooperation initiatives to garner national support and legitimacy and for the country to be accountable to its partners and to society. Due to this, the first edition of "Briefing" points a new debate: use of public information systems to understand and make visible Brazilian South-South cooperation. Data, nowaday available for public consultation are sufficient? Measuring initiatives of South-South cooperation circumscribe singularities of Brazilian proceedings? To what extent is possible the use of budgetary informations in order to complement these efforts? 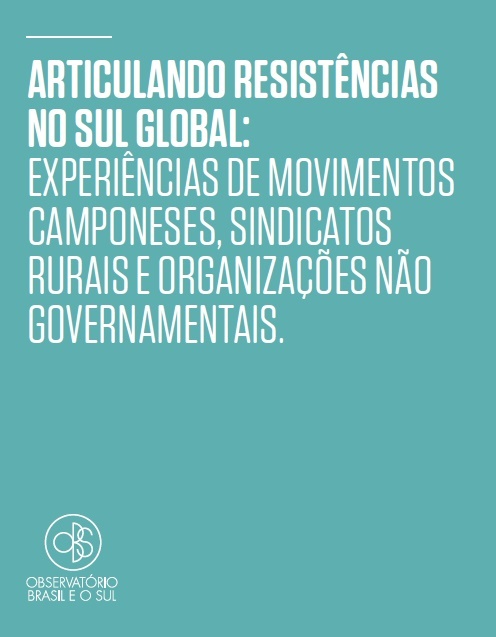 This publication identify and discuss the transnational experiences of Brazilian social actors related to agrarian and agrofood system issues, as peasant movements, rural unions and non-governamental organizations. The following movements and organizations were partners of this process: Farmer Women Movement (MMC), Small Farmer Movement (MPA), National Confederation of Agriculture Workers (CONTAG), FASE, INESC, IBASE (NGO’s), the Brazilian Network of Environment Justice and Brazilian Forum of Food Security and Sovereignty (FBSSAN). This study was supported by Oxfam Brazil. POMEROY, Melissa; SILVA, Daniel Martins. Articulating Resistances at Global South: experiences from peasant movements, rural unions and non-governamental organizations. São Paulo: Oxfam Brazil, 2017. This report presents and discuss the main contemporary methodologies of measurement on international cooperation for development (including North-South and South-South cooperation). Aiming to build a monitoring system for international development flows through public budget were raised the main characteristics, critics and discussions about this methodologies. We focus on three central points: modalities (nature of the flows); instruments (mechanisms of which cooperation is developed) and unity of measurement (which indicators are used for measurement). The research was supported by Oxfam Brazil. SILVA, Daniel Martins; SUYAMA, Bianca; POMEROY, Melissa; SANTOS, Vinicius Sousa dos. 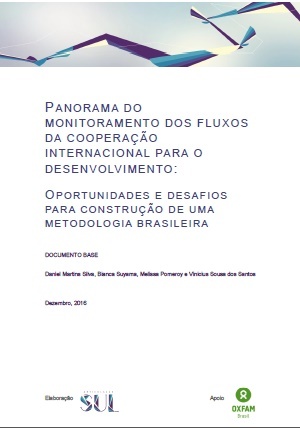 Overview of monitoring international development cooperation flows: opportunities and challenges for building a Brazilian methodology. São Paulo: Articulação Sul, 2016. Network of Southern Think-Tanks (NeST) was created to provide answers, from the South, to the need to build a global plataform to analyse, monitor and account South-South cooperation, as well as to share knowlegde and consolidate common positions among partners to subsidize their participation in global forums on international development issues. 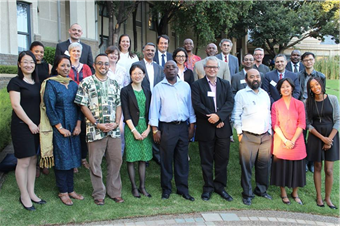 The following comprise its international secretariat: IPEA/Brazil, China Agriculture University/China, Regional Information Systems for Developing Countries/ India and South African Institute for International Affairs/South Africa. 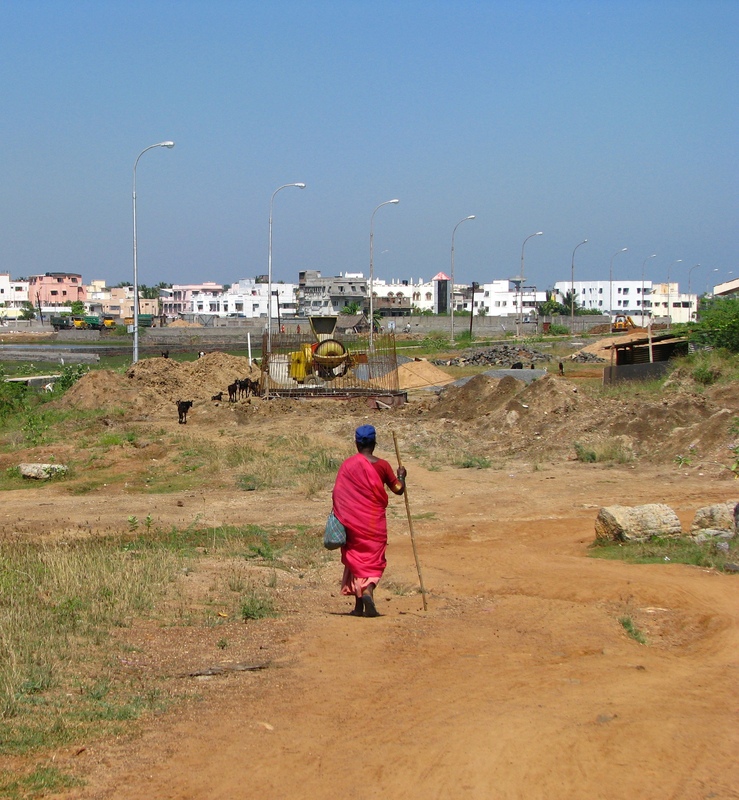 A three year reseach project that applies an interdisciplinary case study approach to examine relationships between current and future urban complexity and vulnerability and innovative solutions that emerge in response. We examine how both infrastructures and institutions are affected by 3 thematic pillars: (i) energy; (ii) governance and participation; and (iii) the environment. Our research is organized in 3 work packages on urban challenges, innovative solutions, and inter-urban knowledge exchange. We conduct initial stakeholder and issue mapping to develop a conceptual framework, and undertake comparative desk and field based qualitative case studies, including interviews with key stakeholders; user-group surveys; and participant observation. We collaborate with local and international stakeholders across, cities, sectors and approaches. We derive lessons and practices from case studies and develop a methodology and toolkit to facilitate transfer of lessons between cities, and develop networks between global urban stakeholders. The host institution is the Peace Research Institute Oslo (PRIO), with researchers from Energiråd Innlandet, the University of Oslo, Oslo School of Architecture and Design (AHO), SINTEF – all Noewegean, and Articulação SUL. During the last two decades, several developing countries governments began to introduce or enlarge social protection instruments, often incorporating ideas promoted by international actors. Some Brazilian policies have gained prominence in this context and they have been disseminated and transferred to other Southern countries. The paper works with transfer and policy diffusion literature and it argues that object and arrangements from Brazilian cooperation provide contributions from different natures for the expansion of social protection policies in other contexts. To operate the analysis, two instruments of Fome Zero Strategy, namely, conditional cash transfer and local public procurement, are presented. 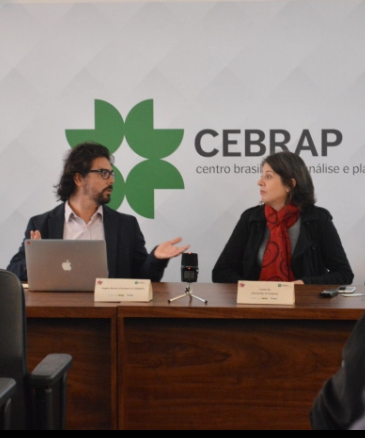 Paper elaborated for the “International Seminar on Policy Diffusion”, presented by Brazilian Centre of Analysis and Planning (CEBRAP) and held on 9-11 may, 2016. 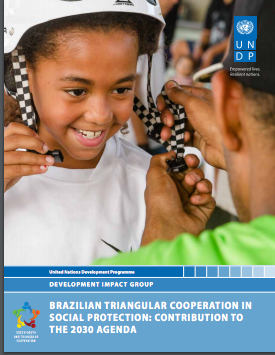 This paper, commissioned by the UN Office for South-South Cooperation (UNOSSC), aims to explore the lessons learned through Brazilian TrC in social protection and their potential contribution to the 2030 agenda. The first section of the paper briefly describes the evolution of the social protection debate in development cooperation, followed by overall picture of Brazilian TrC. The third section presents the three initiatives: the Purchase for Africa from Africans, the World Without Poverty Platform and the Programme to eradicate child labour. The final section concludes by putting forward possible contributions of Brazilian TrC in social protection to the 2030 agenda. Suyama, B; Caixeta, M; and G. Macedo (2016) Triangular cooperation in social protection and food security: lessons from Brazil for the post 2015 agenda. UN SSC Discussion paper. New York: UNDP. To ensure that South-South Cooperation policies and practices are informed by empirical evidence, we promote research and analysis; monitoring and evaluation of cooperation programs and projects; studies on emancipatory practices; and facilitation of learning processes. To ensure a broad, diverse and informed public debate on IDC, we support research and analysis dissemination; facilitation of training and discussion spaces; participation and engagement in networks and forums. Brazil has a rich repertoire of knowledge and practices that may constitute a distinctive quality of south-south cooperation, therefore, we support the systematization of experiences and we collaborate with other organizations in their international engagement.